Of all the leaves, lahpet's the best. I love pork. I think it's partly genetic (see above) and partly because it's so versatile - not only can you roast it, fry it, grill it, bake it, mince it, stew it, steam it etc, you can turn it into miraculous "other" things like ham and bacon. My absolute favourite cut of meat is pork belly; I use it in my favourite noodle dishes, but it's also divine when roasted. 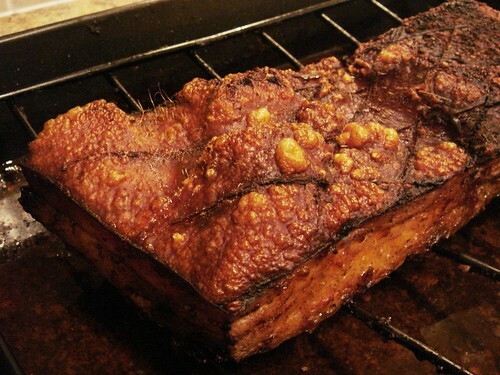 Sometimes nothing quite hits the spot like a crisp slab of crackling nestling on a layer of sweet, smokey fat. 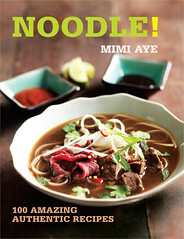 This recipe is inspired by a spiced roast pork recipe from the lovely Niamh at Eat Like a Girl. I like the smokey heat of North African dishes, so I decided to use a combo of harissa and ras-el-hanout which worked really well. I also used fruit sugar which is finer than normal sugar and really melts into the meat. Preheat your oven to 150°C / 300°F / Gas Mark 2. Score the skin on your pork belly using a sharp knife like a Stanley knife, if it hasn't been done already. Place the pork on a rack in a roasting tray, skin side up, and pour boiling water over the skin, so the grooves in the skin open up a little. Pour away the water and remove the wire rack temporarily so the pork is sitting in the tray. Blot the skin dry with kitchen paper, and then rub the ras-el-hanout, salt, sugar, pepper, MSG if using, and olive oil all over the meat, making sure to work it into the grooves of the skin. Next rub the harissa all over the pork. Put the wire rack back into the tray, place the pork on top, skin-side up, and then drizzle the vinegar over the skin. This is a Chinese trick to help make crackling crisper - don't know if it actually does anything, but it makes me feel better. Pour the wine and water into the tray from the side, not touching the meat (this helps keep the pork moist by steaming it very gently). Roast at 150°C / 300°F / Gas Mark 2 for two hours, before switching to the grill function to crisp up the crackling - this shouldn't take more than about five minutes and you should watch like a hawk to stop it burning. When the crackling is all puffed up, turn the oven off, move the pork onto a chopping board and let it rest for ten minutes. Meanwhile, pour the rendered fat away from the roasting tray and quickly reduce the remaining juices with the cornflour to make a lovely porky gravy. 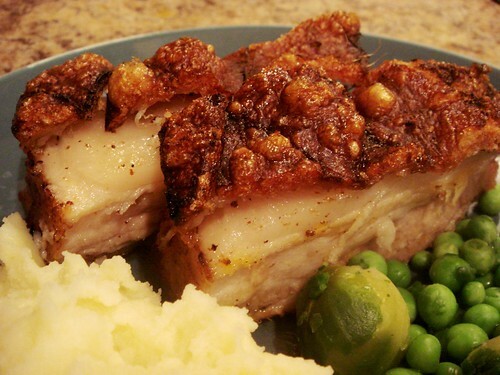 Finally, chop the belly pork into slices - I use a Chinese cleaver to keep the crackling neat - and serve with the gravy and whatever else you fancy; we had ours with creamy mashed potatoes and sprouts and it was spanking gorgeous. 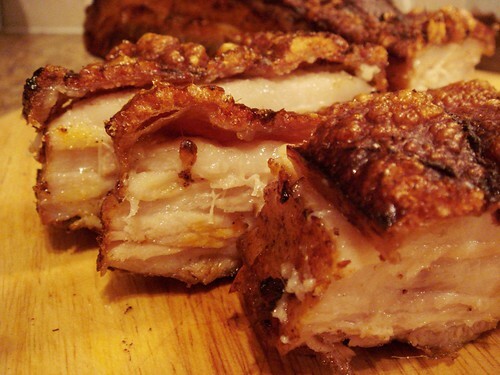 A slab of roasted pork belly is such a wonderful thing.i am convinced that the fat must have significant health benefits, I don't care what people say. Psychological benefits, at least! I too put water underneath my pork belly. It really does keep the meat moist. @Helen - Fat is what makes the world go around! @The Ample Cook - Heh, maybe I should have put a warning : ) Yes, the steam bath is a good idea because it's so easy for pork to dry out. That looks great. Oh, what I'd do for some pork belly right now! 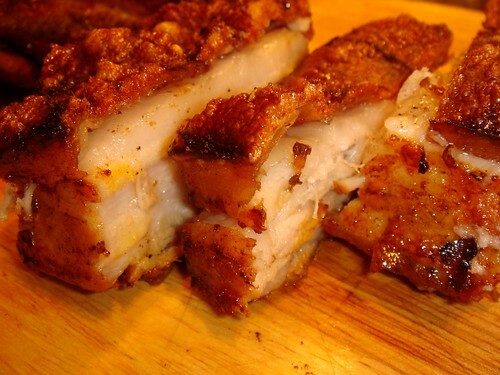 Pork belly is my favourite cut of meat too - when I was a kid I used to take pork cracklings to school in my lunch box, everyone thought I was weird! Wonderful recipe, and good tip about the vinegar, I will try that next time, thanks. Fantastic! I'm definitely going to try this! 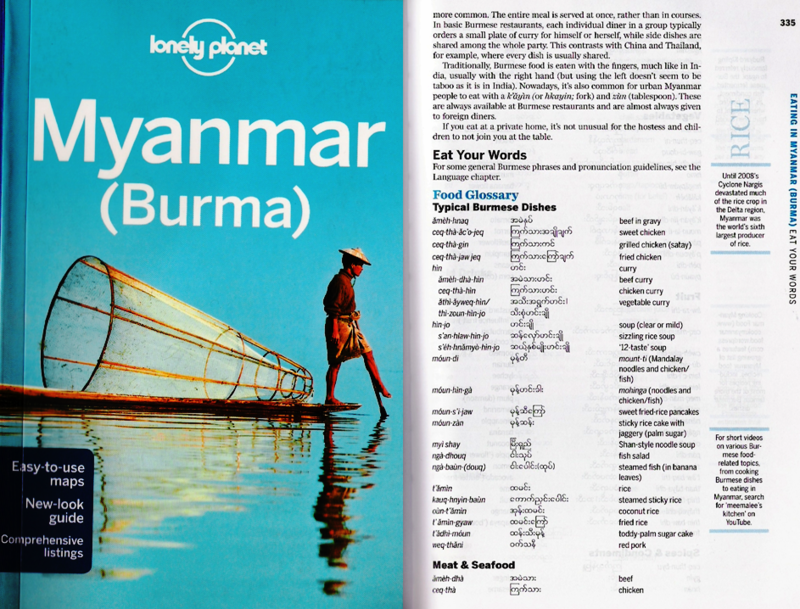 All the dishes here are looking very attractive and insist to make and eat.Adding pork is very good.When you serve, squeeze the clementines on top of the meat, sprinkle cinnamon and pour pan juices over the slices. I am sorry I am late with this. But that was the pig of wonder and delight. @Peter - Clementines and pork? Not tried that one. Oh my. Have been hankering for this ever since I saw the link. The gleam in my eye must have been really obvious as the butcher gave me 2kg as 'enough for 4 greedy people'. It was my first time in there, He must know the sort. @LaFlafster - Oh, nice addition - harissa and preserved lemons have such an affinity! PURE EVIL II - The Perfect Christmas Gift!